Travel back in time this holiday! 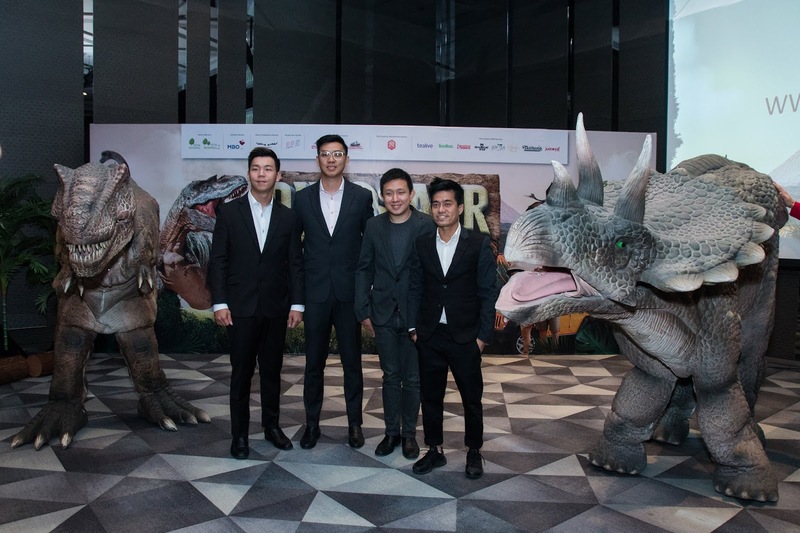 Themepaktu (pronounced as theme-park-to-you) brings you Dinosaur Kingdom, a dinosaur-themed pop up mobile theme park at Setia Ecohill in Semenyih. The founders of Themepaktu wish aims to create an event that is meaningful and memorable for each of their visitors. To capture the iGeneration's interest, they work towards a modern age of mobile theme parks with educational activities, entertainment and more. 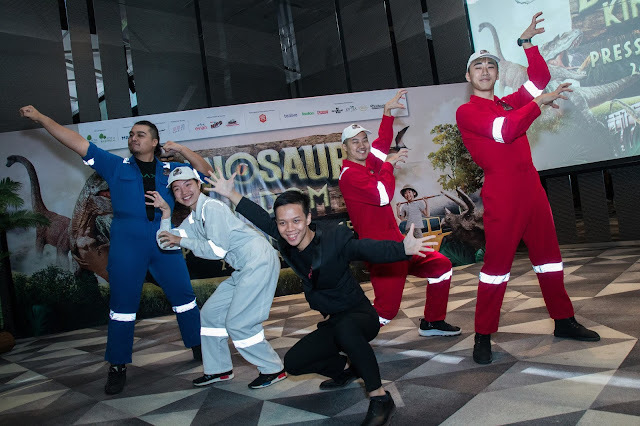 Dinosaur Kingdom is packed with a variety of stimulating and interactive activities, during their press conference, we got a chance of a sneak peak of their live shows which was very lively, the performance had lots of energy, music and humor in it and we also got to get up close with lifelike dinosaurs. With such a lineup, I can't wait to bring my kids there to experience it for themselves, they will be thrilled. 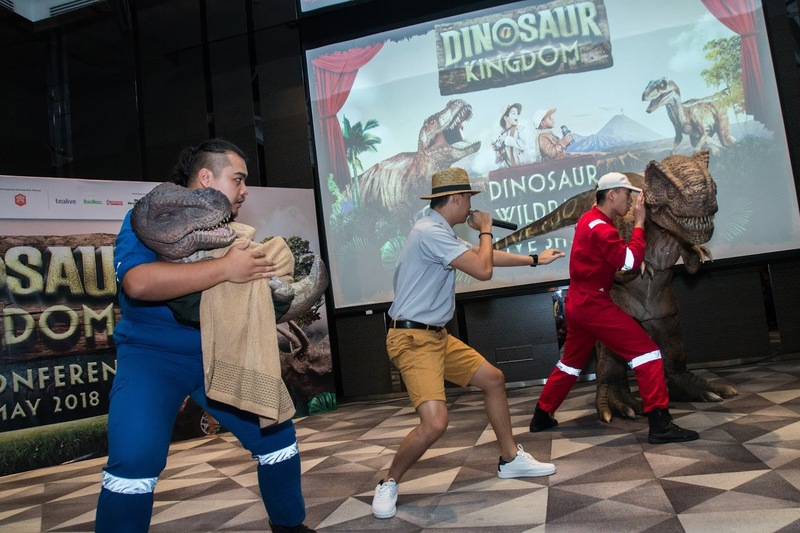 Dinosaur Kingdom comprised with 5 elements, such as live shows, interactive activities and attractions, games, food and beverages and Dinosaur merchandise. The themed park is filled with fun attractions such as the Pterosaurs Nest, Baby Dinosaur Trail, Raptor's Maze, Dinosaur Wild Park Live show, 25 Animatronic Dinosaur, Drift Island, 5D Cinema, Racing Raptors and many more. 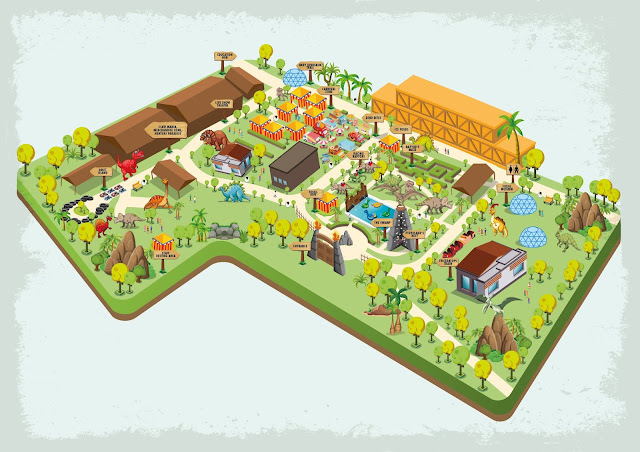 With such a fun programme planned, Dinosaur Kingdom will be popular a popular spot this holiday. Tickets can be purchased through Themepaktu apps, website or at site. Themepaktu along with Dunkin Donuts & Rotary Club is giving the orphans an opportunity to experience Dinosaur Kingdom. For every pledge RM80 made, they will pledge for another orphan too! menarik ni kalau nak bawak kanak-kanak. harga pun tak mahal sangat. nanti nak bawak anak sedara la kesini. but my daugter takut dinosaur..
haha after this i kasi tengok dulu dinosaur kat TV.. then dia tak takut I bawa later..
is always fun to bring kids to go there and enjoy. Nampak macam kids will enjoy this. Boleh explore spesis dinosaur kat sini. Harga tiket pun ok lah. Berpatutan juga since bawah 3 thn masuk secara percuma. Wow..really interesting..can bring my niece and nephew here..Dinasour Kingdom really can attract not only child but adult toom.will bring them there after raya..
interesting..hope I have the time and chance to bring the kids here..very sure that they will be so excited as I am too..
What a lovely place for kids to visit. I am sure they gonna love it. The price ticket is quite cheap. Can bring one full bus lah kalau mcm nie. Hahaha. I also would love to go there and experience all the excitement this place can offer. This dinosaur kingdom looks so great.. will surely bring my kiddos go... They must love it! Sesiapa yg ada anak2 kecil sure suka tempat2 macam ni. Anak sis semua dah besar2. Menariknya dinasour kingdom nibukan budak-bukan je suka.Dewasa seperti Ika pun suka Dinasour taw.